A story posted yesterday at the online news site, Ink Free News, reports on an honor received recently by Dr. Steve Hollar, who is active in the Winona Lake, Ind., Grace Brethren Church (Bruce Barlow, lead pastor). Dr. Hollar received the prestigious Sagamore of the Wabash award from Governor Mike Pence. A portion of the article appears below. Click here for the complete story. 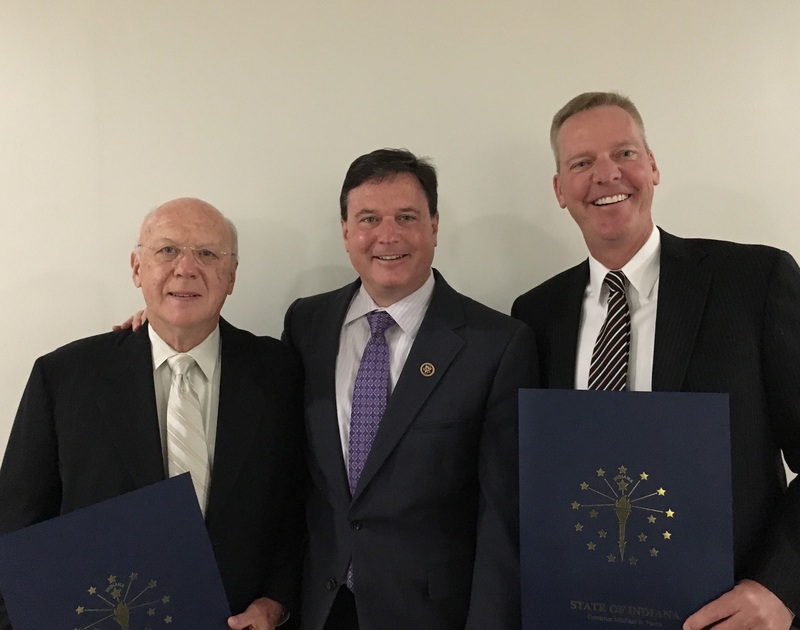 Dr. Ted Rokita, his son US Congressman Todd Rokita and Dr. Steven Hollar. WARSAW — Dr. Steven C. Hollar, Warsaw dentist, was bestowed the honor Sagamore of the Wabash in a public ceremony in Indianapolis on Friday, Oct. 7. The Sagamore of the Wabash is the highest distinction given by Governor Pence for distinguished service in Indiana. “Dr. Hollar served three terms, nine years, on the Indiana State Board of Dentistry with honor and distinction. Too often protectors of effective governance go unnoticed, but this honor lets all Hoosiers know we have taken notice and have benefited from your leadership and service,” said Deborah Frye, Director of Indiana Professional Licensing. The board is the authoritative body for maintaining public health and safety of dental consumers.